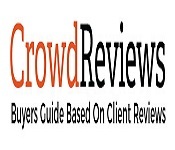 Conference Series organizes a conference series of 3000+ Global Events with over 600+ Conferences, 1200+ Symposiums and 1200+ Workshops in USA, Europe & Asia with support from 1000 more scientific societies and publishes 700+ Open access journals which contains over 30000 eminent personalities, reputed scientists as editorial board members. On behalf of Organizing Committee, we invite all the participants from all part of the world to attend the “4th World Congress on Sleep Disorders, Medicine and Neuropsychiatry” scheduled during December 09-10, 2019 at Rome, Italy. It is a platform that provides an ideal combination of excellent science, an open atmosphere and allowing attendees and speakers to easily focus on academic exchange of ideas and authoritative views which covers the entire spectrum of research in Sleep Disorders, Medicine and neuropsychiatry. 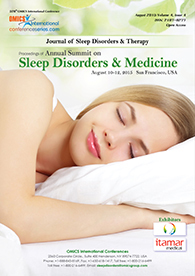 4th World Congress on Sleep Disorders, Medicine and Neuropsychiatry is a unique forum to bring together worldwide distinguished academics in the field of neurology and Psychiatry, Psychiatry researchers, public health professionals, scientists, academic scientists, industry researchers, scholars to exchange about state of art research and technologies. 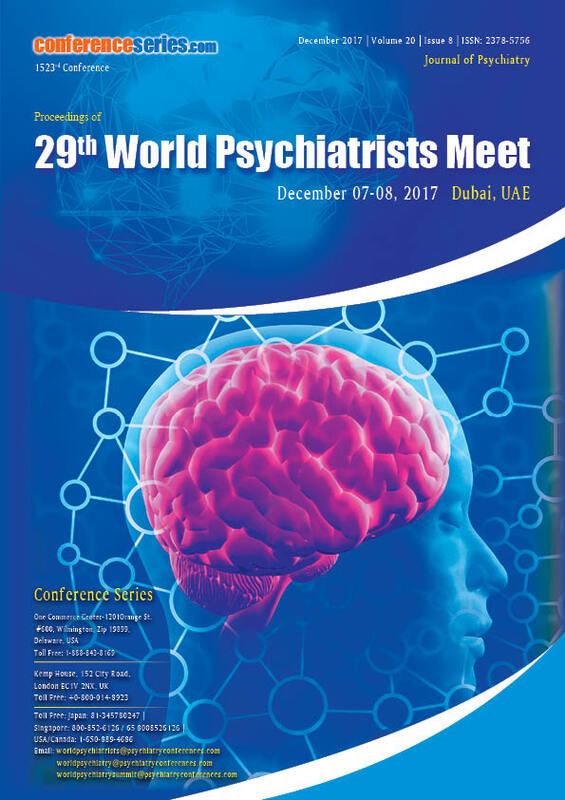 The Conference will feature many exciting academic programs including multiple panels, workshops, affinity group lunches, paper presentations, and scientific sessions by reputed psychiatrists from all over the country. The goal of this conference is to generate new ideas for treatment that will be beneficial across the spectrum of various Sleep disorders. 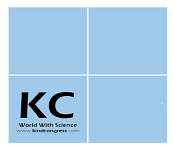 We endeavor to make 4th World Congress on Sleep Disorders, Medicine and Neuropsychiatry a success, with your support and high-quality talks from Neurological as well as Psychological committees. We assure you that you will experience world class facilities and hospitality throughout the conference session. 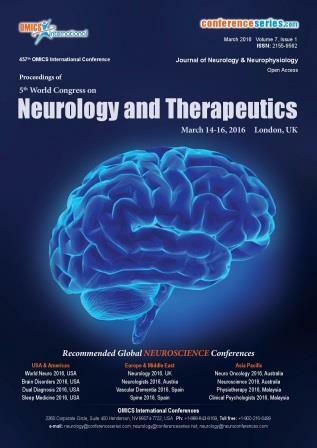 With people from around the world focused on gathering some knowledge about neuropharmacology and its advances; this is your ultimate opportunity to accomplish the biggest collection of individuals from the Neuropsychiatry group. 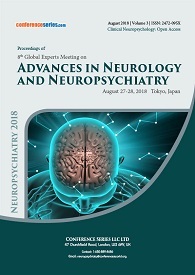 Broadly acclaimed speakers, the most recent techniques, researches, and the most state-of-the-art upgrades in Neuropsychiatry are indications of this meeting. A sleep disorder is a medical disorder of the sleep patterns of a person. Some sleep disorders are serious enough to interfere with normal physical, mental, emotional and social functioning. Sleep disorders are caused by a health problem or by too much stress. Sleep Disorders are the changes in sleeping patterns or habits that can negatively affect health. It is the most common health problems reported in the United States. The estimated prevalence of syndromes of sleep-wake disorders in the US is about 50-70 million, and those who suffer from chronic sleep disorders have impaired daily functioning, compromised health status, and diminished quality of life. Sleep medicine is a medical specialty devoted to the therapy and diagnosis of sleep disorders and disturbances. Competence in sleep medicine requires an understanding of a plethora of very diverse disorders, many of which present with similar symptoms such as excessive daytime sleepiness, which, in the absence of volitional sleep deprivation, is almost inevitably caused by an identifiable and treatable sleep disorder, such as narcolepsy, sleep apnea, circadian rhythm disturbances, Kleine-Levin syndrome, idiopathic hypersomnia, menstrual-related hypersomnia or idiopathic recurrent stupor. Neuropsychiatry is concept of both Neurology and Psychiatry which subjects on disorders associated to mental health, in which many cases were uncovered to be originated from a recognizable malfunction in the brain. The point of Neuropsychiatry is to grasp the connection among the body, mind and its behavioural activities. The prepared Neuropsychiatrist in the field of both neurological and psychological highlights of disease seats them in excellent position to convey this care. Neuropsychiatrist works along with extra neurology clinicians, specifically neurosurgeon and neurologist, to deliver complete care to the patients. A sleep expert or specialist is a medical doctor who has completed additional training and education in the field of sleep medicine. Sleep medicine focuses on sleep disorders, sleep and sleep-related conditions, and is a subspecialty within several medical specialties, including pulmonology, internal medicine, neurology and psychiatry. Psychiatrists are medical doctors who are experts in mental health. Psychiatrists are medical doctors and they evaluate patients to determine whether their symptoms are the result of a physical illness, a combination of physical and mental ailments, or strictly psychiatric. A psychiatrist is a physician who specializes in psychiatry, the branch of medicine devoted to the study, diagnosis, prevention and treatment of mental disorders. The term "psychiatry" was first coined by the German physician Johann Christian Reil (1808) and it means “medical treatment of the soul”. Psychiatric disorder or mental illness or mental disorder, is a behavioral pattern that causes significant distress or impairment of personal functioning. Some of the common Psychiatric disorders are Personality disorders, Depression, stress, eating disorders, Addictive behaviors, Bipolar disorder, Obsessive compulsive disorder, Post traumatic stress disorder etc. Neurology is a branch of medicine dealing with disorders of the nervous system. Neurology deals with the diagnosis and treatment of all categories of conditions and disease involving the peripheral nervous systems (PNS) and central nervous systems (CNS). Neurology is the branch of biology that deals with the functions, anatomy and organic disorders of nerves and the nervous system. Neurological disorders are diseases of the peripheral and central nervous system. That include brain, spinal cord, peripheral nerves, cranial nerves, autonomic nervous system, neuromuscular junction, nerve roots and muscles. Some of the most common neurological disorder include Brain tumor, Epilepsy, Craniosynostosis, Chiari malformation, Craniofacial abnormalities, Cerebral palsy, Encephalopathy etc. Mental health includes psychological, emotional, and social well-being. It affects how we feel, think, and act. It also helps determine how we handle stress, relate to others, and make choices. Mental health is the successful performance of mental function, resulting in productive activities, fulfilling relationships with other people, and providing the ability to adapt to change and cope with adversity. Psychiatric nursing or mental health nursing is the appointed position of a nurse that specializes in mental health, and cares for people experiencing mental illnesses like schizophrenia, eating disorders, schizoaffective disorder, anxiety disorders, psychosis, personality disorders, mood disorders, suicidal thoughts, paranoia. Psychiatric mental health nursing is a specialty within nursing. Psychiatric mental health registered nurses work with communities, groups, families and individuals assessing their mental health needs. The psychiatric mental health nurse develops a nursing diagnosis and plan of care, implements the nursing process, and evaluates it for effectiveness. Psychology is the investigation of mind and behavior, grasping all parts of conscious and unconscious experience and in addition thought. Therapists endeavor to comprehend part of mental capacities in individual and social conduct, while additionally investigating the physiological and organic procedures that underlie psychological capacities and practices. Psychology is a tutorial and scientific discipline that seeks to know people and teams by establishing general principles and researching specific cases. In this field, a knowledgeable practitioner or scientist might be classified as a social, behavioral or cognitive man of science. A psychologist studies normal and abnormal mental states from emotional, cognitive and social processes and behavior by observing, interpreting, and recording how individuals relate to one another and to their environments. There are different types of psychologists are there including Clinical Psychologists, Counseling Psychologists, Forensic Psychologists, Health Psychologists, Personality Psychologists, Bio psychologists, Aviation Psychologists etc. Sleep deprivation is the condition of not having enough sleep. The levels of sleep deprivation can vary, being either chronic or acute. Causes of sleep deprivation include depressed mood, lack of motivation, fatigue, irritability etc. There are some treatment techniques such as Relaxation techniques, Cognitive behavioral therapy, Stimulation control and medications. Circadian rhythm disorders are disruptions in a person’s circadian rhythm (internal body clock) that regulates the (approximately) 24-hour cycle of biological processes. Common circadian rhythm disorders are Advanced Sleep Phase Disorder, Jet Lag, Shift Work Disorder, Delayed Sleep Phase Disorder etc. Sleep apnea is a potentially serious sleep disorder in which breathing repeatedly stops and starts. Sleep apnea may be three types Obstructive sleep apnea, Complex sleep apnea syndrome, Central sleep apnea. Symptoms of sleep apnea include Loud snoring, Morning headache, Difficulty staying asleep, Irritability, Excessive daytime sleepiness etc. Obstructive sleep apnea affects 1 to 6% of adults and 2% of children. It affects males about twice as often as females. Central sleep apnea affects less than 1% of people. Treatment may include lifestyle changes, breathing devices, mouthpieces and surgery. Sleep disorders that involve difficulty breathing during sleep are classified as sleep related breathing disorders. Some common Sleep Related Breathing Disorders are Sleep Apnea, snoring, child sleep apnea, infant sleep apnea, central sleep apnea etc. Treatment measures for breathing-related sleep disorders include avoidance of supine positioning during sleep, behavior modification aimed at improving sleep hygiene and avoiding additional sleep deprivation, and avoidance of ethanol and sedative medications. Stress and anxiety may cause sleeping problems or make existing problems worse. Depression, Stress or anxiety can cause a serious night without sleep, as do a variety of other problems. Anxiety is an emotion characterized by feelings of tension, worried thoughts and physical changes like increased blood pressure. Depression is a mood disorder characterized by persistently low mood and a feeling of sadness and loss of interest. One of the major regions of stress & depression is sleeplessness. Sleep therapy is used to cure sleep disorders. There are more than 80 types of sleep disorders. And there are many therapies used which include psychotherapy, behaviour therapy, cognitive behavioural therapy, family therapy, paly therapy, occupational therapy, art therapy and many more. Addiction psychiatry is a medical subspecialty within psychiatry that focuses on the evaluation, diagnosis, and treatment of people who are suffering from one or more disorders related to addiction. Addiction psychiatrists are substance abuse experts. Addiction psychiatry is an expanding field, and currently there is a high demand for substance abuse experts in both the private and public sector. Addiction psychiatry aims to treat individuals with addiction issues along with co-occurring psychiatric disorders and some sleep disorder. Addiction psychiatrists treat a wide variety of patients of all ages with varying conditions. Geriatric psychiatry, otherwise called geropsychiatry, psychogeriatric or psychiatry of seniority, is a subspecialty of psychiatry managing the prevention, study, and treatment of mental issues in people with old age. As the population ages, especially in creating nations, this field is winding up more required. The finding, treatment and administration of dementia and gloom are two regions of this field. Pediatric psychiatry is a division of psychiatry that spotlights on the treatment, diagnosis and anticipation of mental issues in adolescents, children, and their families. It researches the bio-psychosocial factors that impact the advancement and course of these mental issue and treatment reactions to different mediations. 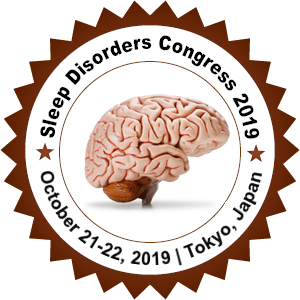 Sleep disorders congress 2019 welcomes attendees, presenters, and exhibitors from all over the world to Tokyo, Japan. We are delighted to invite you all to attend and register for the “4th World Congress on Sleep Disorders, Medicine and Neuropsychiatry” (Sleep disorders congress 2019) which is going to be held during December 09-10, 2019 at Rome, Italy. The organizing committee is gearing up for an exciting and informative conference program including plenary lectures, symposia, workshops on a variety of topics, poster presentations and various programs for participants from all over the world. We invite you to join us at the Sleep disorders congress 2019, where you will be sure to have a meaningful experience with scholars from around the world. All the members of Sleep disorders congress 2019 organizing committee look forward to meeting you at Rome, Italy. Sleep disorders congress 2019 addresses current & future trends at the interface of Sleep Disorders and Neuropsychiatry. It emphasizes on the use various treatment methods for Neurological disorders. It intends to provide a platform for enthusiastic dialogs and trade between these controls. Neuropsychiatry is combination of both Neurology and Psychiatry which focuses on disorders related to mental health, in which many cases were revealed to be originated from a recognizable malfunction in the brain. The aim of Sleep disorders congress 2019 is to comprehend the relation among the body, mind and its behavioral activities. The trained Neuropsychiatrist in the field of both neurological and psychiatric features of disease seats them in exceptional position to deliver this care. Neuropsychiatrist works along with additional Neuroscience clinicians, namely neurosurgeon and neurologist, to deliver complete care to the patients. Meet Your Target Market With members from around the world focused on learning about latest innovations in screening and treatments for neurological disorders; this is your single best opportunity to reach the largest assemblage of participants from the Universities, Neurology research centers and hospitals and conduct demonstrations of new screening instruments, distribute information about novel agents and strategies, meet with highly affiliated speakers, showing of clinical trials as well as advancements in new neurological therapies, current methods and controversies in psychic therapy and receive name recognition at this 2-day event. World-renowned speakers, the most recent techniques for screening as well as for treatment, and the newest updates in Neurological disorders and treatments are hallmarks of this conference.